Thursday September 7 marked the beginning of construction work on the £37m Cumbernauld Academy and Cumbernauld Theatre Campus with a sod cutting ceremony led by the Deputy First Minister and Cabinet Secretary for Education and Skills, John Swinney MSP. 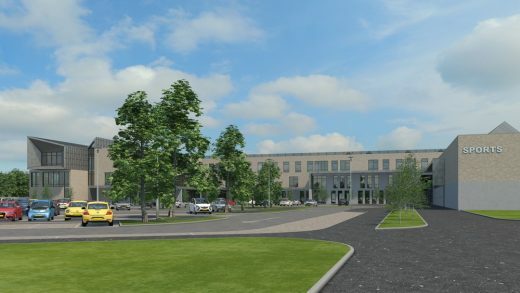 The project, which marks the third in a series of collaborations between North Lanarkshire Council and hub South West Scotland, builds on the successful delivery of Greenfaulds High School and Clyde Valley Campus, with streamlined planning through employing tried and tested design principles. 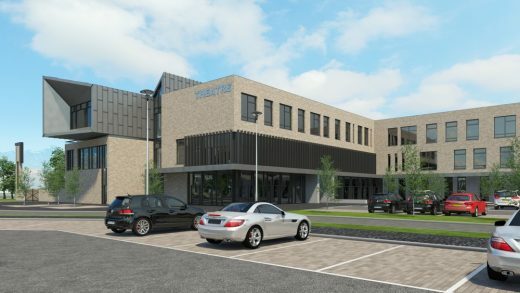 The new campus on South Kildrum Ring Road will have capacity for 950 pupils following the amalgamation of Cumbernauld High School and Abronhill High School as well as a 400 seat replacement venue for the current Cumbernauld Community Theatre. “We are very pleased to be building on our portfolio of work with North Lanarkshire Council with this being the third in a series of large schools designed and built via this partnership. It’s wonderful to see this innovative and much anticipated project now progressing to site after the continuous hard work of all partners involved. A productive relationship between hub South West, Tier 1 contractors and local suppliers has delivered best value for money and increasing efficiencies throughout south west of Scotland in recent years. A Living Wage Employer, hub South West, aims to secure participation of local businesses at a level of at least 65% in all of its contracts. 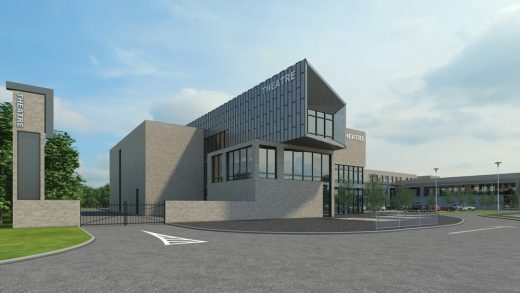 It will also house a new theatre and arts venue for the Cumbernauld Theatre Trust Ltd which will contain a 400 seat main auditorium, box office and digital arts room, as well as performance and event spaces, administrative and support spaces. 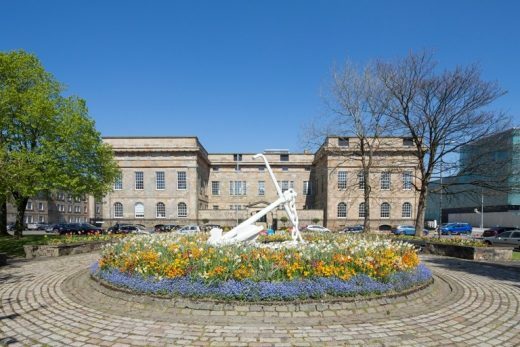 The project is the latest to be developed by construction and infrastructure-focused partnership, hub South West, on behalf of North Lanarkshire Council. Building of the new facility will be led by Morrison Construction. Allan Cunningham, Operations Director said: “We look forward to working closely with our partners, Hub South West and North Lanarkshire Council, to deliver this exciting new development, our third in as many years. The Design, Build, Finance and Maintain (DBFM) contract for Cumbernauld Campus is the third in a series of large school projects designed and built by North Lanarkshire Council and hub South West following the successful delivery of Clyde Valley Campus and Greenfaulds High School. 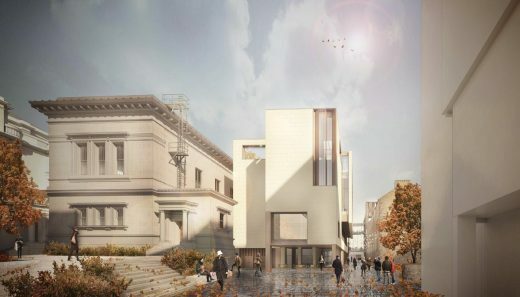 27 Jun – Edinburgh University project designed by Page\Park Architects for a radical extension of the world’s oldest purpose-built student union. 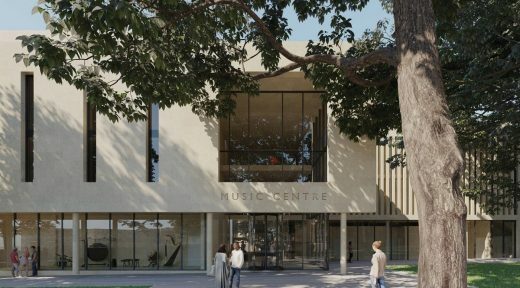 27 Jun – The University of St Andrews music centre designed by architects Flanagan Lawrence.